This abandoned mansion possesses a horrific history, and after reading a few blog posts about it, I had to visit it for myself. The facts of the story are this...a seemingly harmless husband and father of three went crazy one December evening in 1959 and killed his wife with a ball peen hammer and then went after his oldest daughter. She managed to escape, and when the two youngest children awaked, frightened by all the commotion, their father told them they were having a nightmare and to go back to bed. Then he drank a lethal dose of poison or acid, depending on which version of the story you read, and died. After the tragedy, the children were sent to live with relatives, and the house was purchased at auction by Julian and Emily Enriquez (imagine attending THAT real estate auction). The couple willed it to their son and current owner, Rudy. None of the Enriquez family have ever moved in or made any changes to the house. 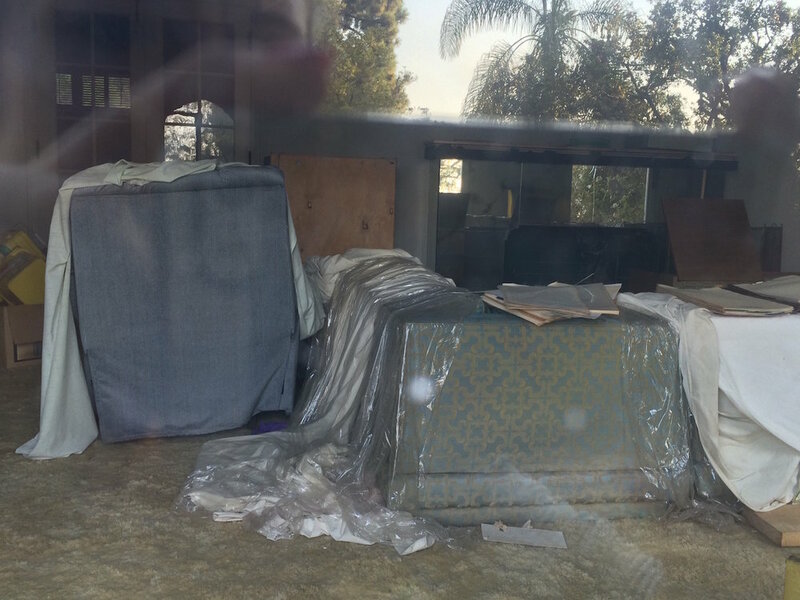 The murders are disturbing enough, but the Enriquez family actions are what really make this an infamous story...what logical reason could someone have for holding onto over 5000 square feet of prime real estate in Los Angeles, and leaving the scene of a horrific crime completely untouched? I took the photos below a couple of years ago, showing the inside of the house that is visible...it certainly doesn't look like anyone has done much cleaning since that night in 1959. Many of the ground level doors and windows were boarded up over the years due to vandalism, but the front windows to the living room were still completely exposed (as was I, standing at the top of the hill in the front yard, trying to sneak a peek through them)! I'd read about some of the things in these photos, but I didn't quite believe it until I saw it in person. I find murder/haunting stories to be wildly exaggerated, but this is an interesting case in that almost everything I've read out there about it from different sources is pretty consistent. These photos were taken a couple of years ago, and now the home may finally be ready for a new chapter. 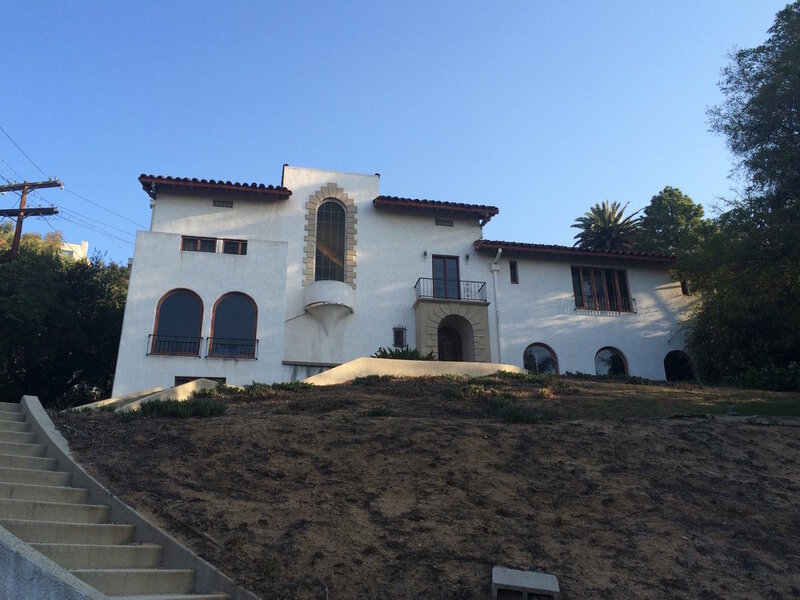 It sold in June of 2016 for $2.289 million in a probate sale. I checked it out a few days ago, and it still looks uninhabited, although the inside was finally cleaned out when it was listed for sale. Here's hoping that the Mansion and it's new owners have happier days ahead!